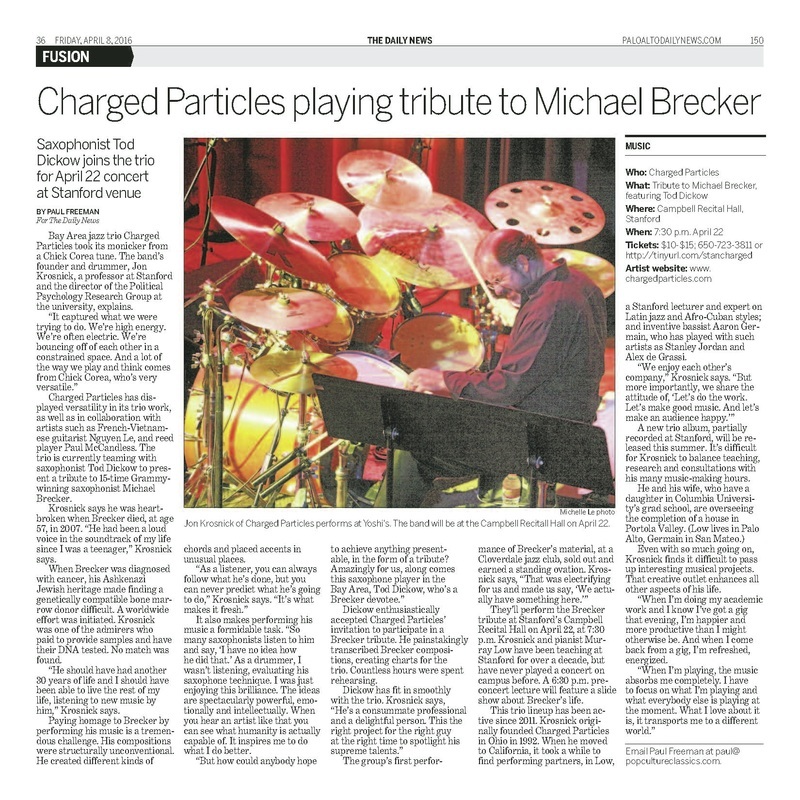 Tribute to Michael Brecker - Charged Particles: Jazz with a Spark! 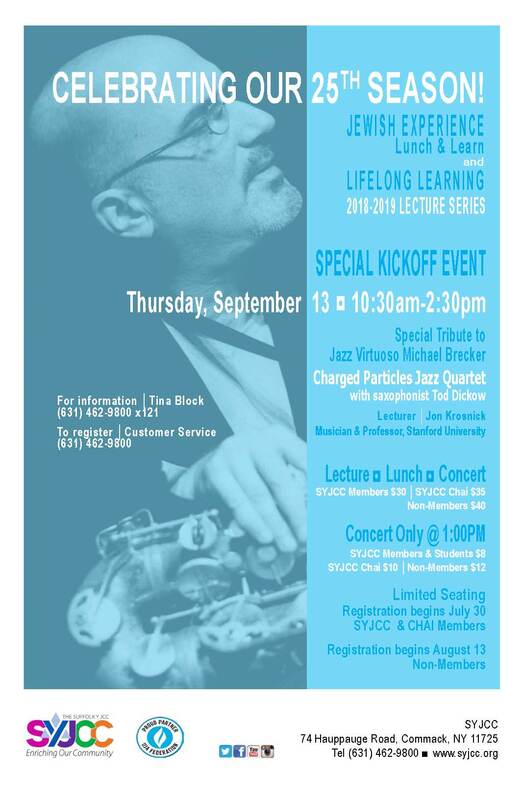 ​​Charged Particles is very pleased to be joining saxophonist Tod Dickow to perform concerts celebrating one of the most important musicians in the history of jazz: Michael Brecker. Truly, that was the best concert I have heard in years. 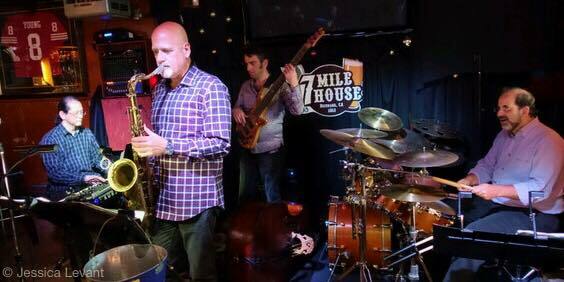 "Great musicians, very interesting jazz music. "What an incredible show. They were at the top of their game." "Great program. 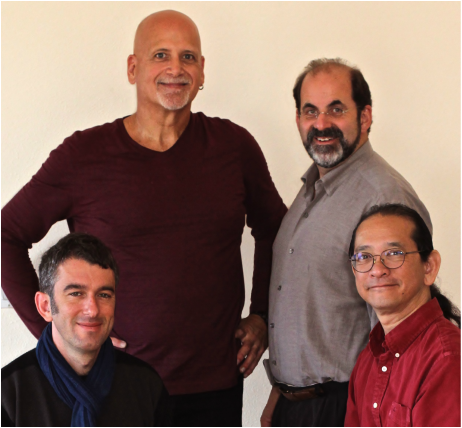 We had about 120 people in the room, and everyone enjoyed the performance." "Fantastic! The energy, talent, and variety blew my mind. 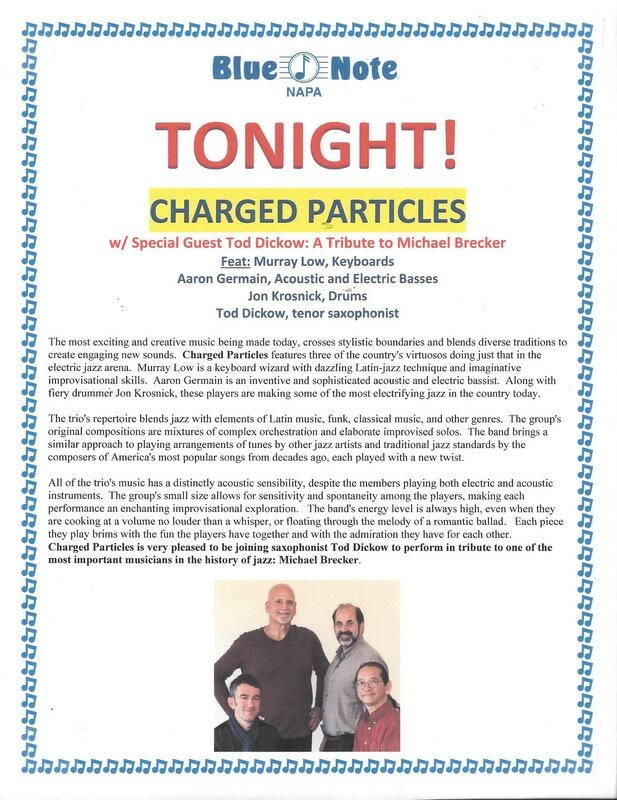 They charged my particles!" 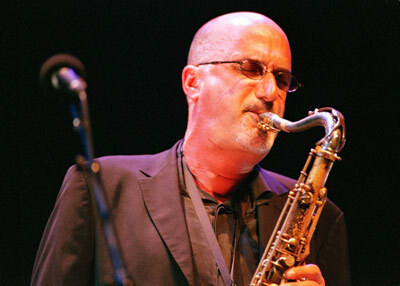 Michael Brecker was an innovator on the tenor saxophone whose unique voice and approach to the instrument influenced every performing saxophonist. Winner of 15 Grammy Awards, he was a prolific composer and leader of a range of different bands, as well as a guest soloist with many other ensembles. 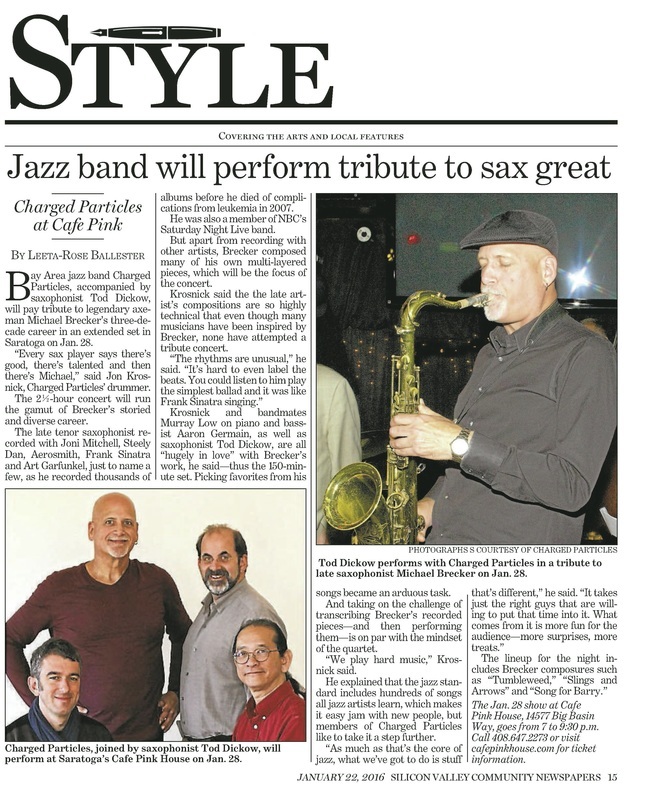 He was awarded some of the highest honors in jazz: an Honorary Doctorate from the Berkeley College of Music and induction into Down Beat Magazine's Hall of Fame. 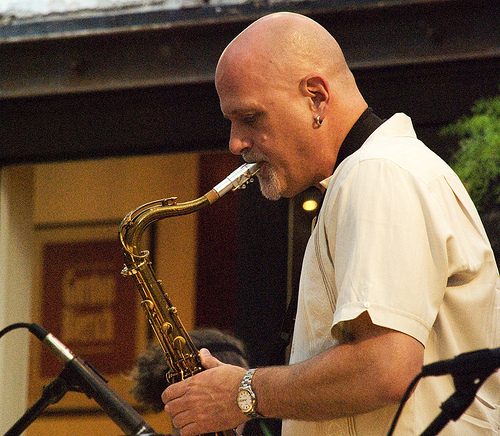 He led his own quartet and was co-leader of the Brecker Brothers (with his brother, trumpeter Randy Becker), Steps Ahead (with vibraphonist Mike Mainieri), the Pat Metheny-Michael Brecker "Special Quartet", and "Directions in Music", co-led with Herbie Hancock and Roy Hargrove. He appeared in bands and on recordings led by Horace Silver, drummer Billy Cobham, Herbie Hancock, Chick Corea, Chet Baker, George Benson, Quincy Jones, Charles Mingus, Jaco Pastorius, McCoy Tyner, Dave Brubeck, Elvin Jones, and Claus Ogerman. Among the countless pop and rock records on which he appeared are ones by Joni Mitchell, Steely Dan, Lou Reed, Donald Fagen, Dire Straits, Eric Clapton, Billy Joel, John Lennon, Aerosmith, Dan Fogelberg, Frank Sinatra, Frank Zappa, Bruce Springstein, Roger Daltry, Parliament-Funkadelic, Tod Rundgren, Art Garfunkel, and many others. He was a long-term member of the band of NBC's Saturday Night Live. His musical voice was heard on more than 700 records and at thousands of live concerts around the world. In January, 2007, the jazz world lost this giant to leukemia at the age of 57. 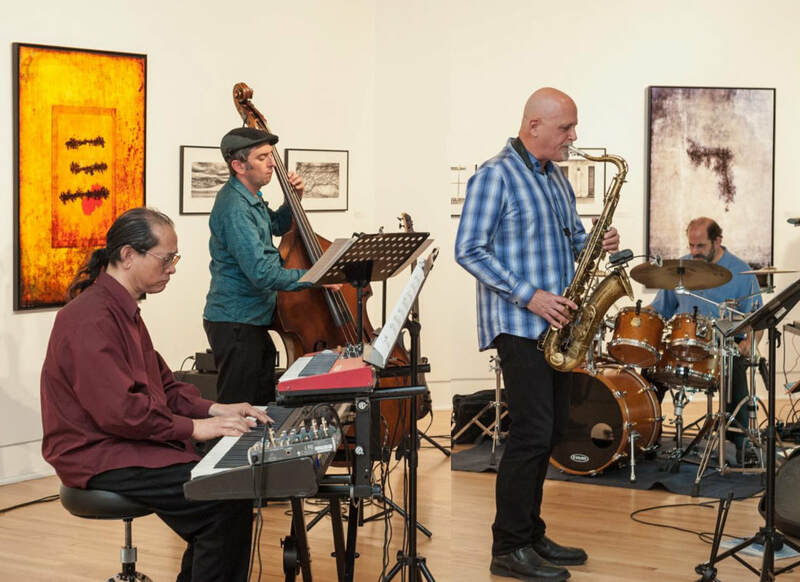 ​While studying music at the College of San Mateo in the late 70's and with Don Haas and Gus Gustovson, tenor saxophonist Tod Dickow began playing gigs in the Bay Area with small groups and big bands, and he is a powerful voice on the Bay Area scene today. 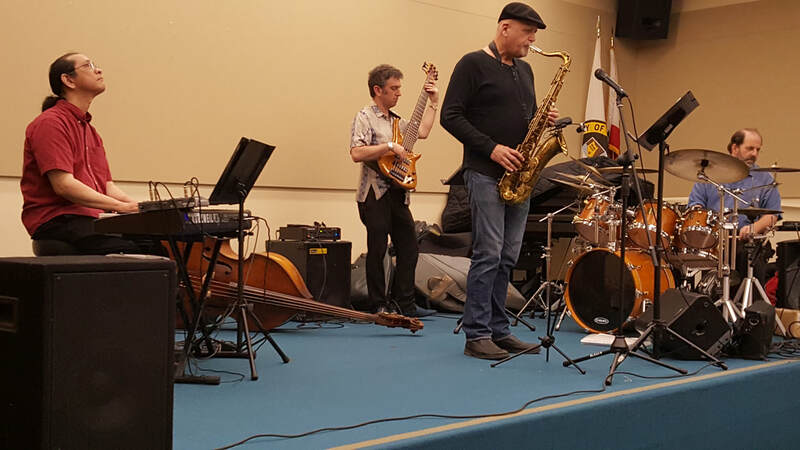 His playing has been recognized by outstanding soloist awards at Jazz Festivals (Pacific Coast) and was awarded the Outstanding Soloist award by Down Beat Magazine. 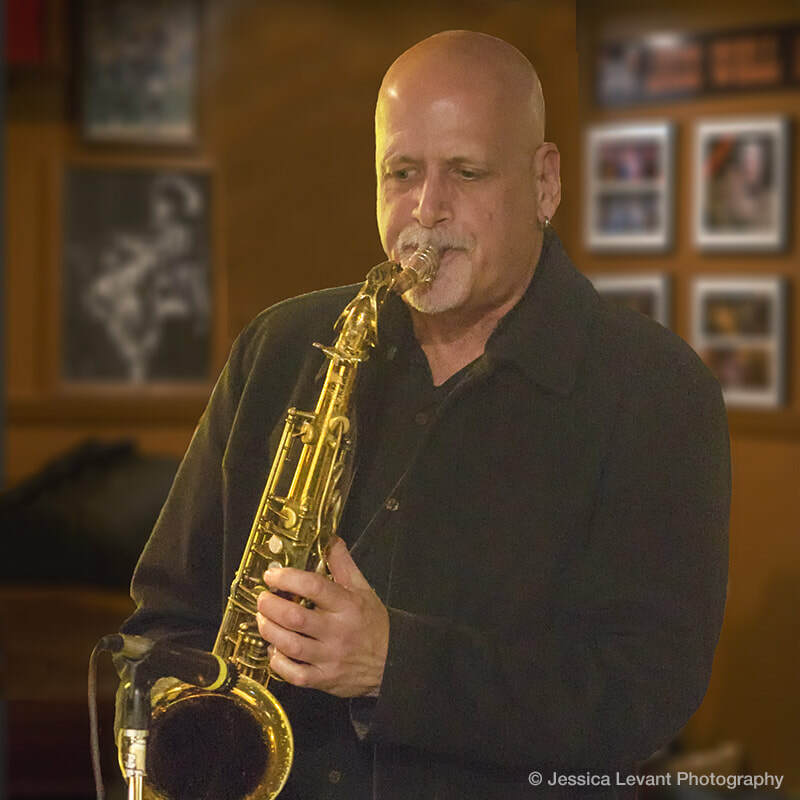 He has appeared with numerous celebrated artists in many genres of music, including Ella Fitzgerald, Nancy Wilson, Joe Henderson, Bobby Hutcherson, Jackie & Roy, Harry Connick Jr, Steve Allen, Terry Gibbs, Frank Sinatra Jr., Dave Brubeck, and many more. 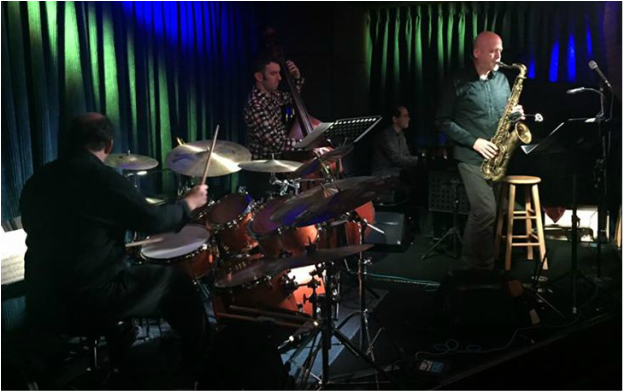 He appears regularly with the Al Molina Sextet, Walley Scnalle's Bang, John Worley's "Miles of Blue" (a "Kind of Blue" tribute band), and the Latin Jazz group "Aryto". 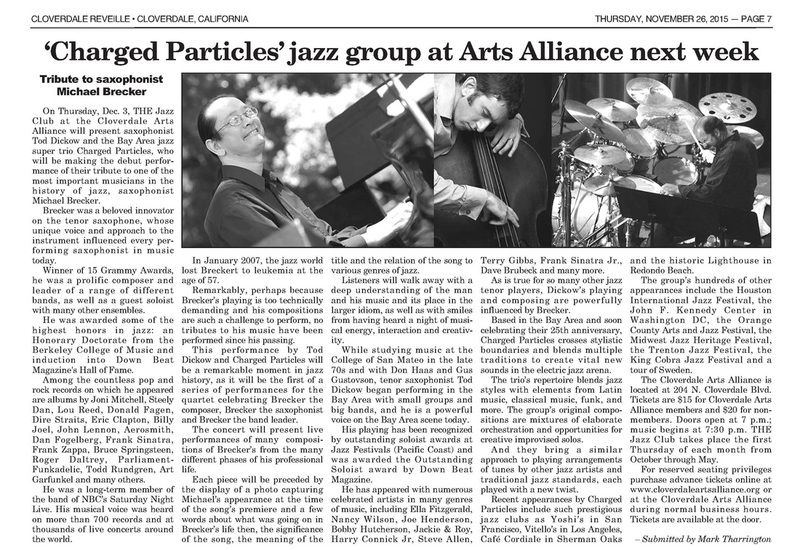 Over the years, he has appeared with the Full Faith & Credit Big Band, The Brilliant Corners Tentet, The Full Spectrum Big Band, The James Leary Big Band, and the Bay Area Jazz Composers Orchestra. 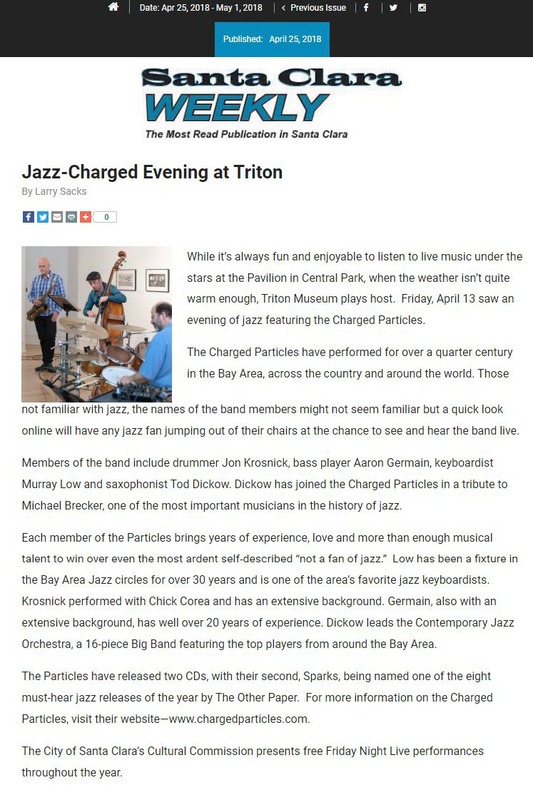 In addition to leading his own small groups, he leads the Contemporary Jazz Orchestra, a great 16-piece Big Band, featuring the top players from around the Bay Area. And he arranges music for big bands and small groups. 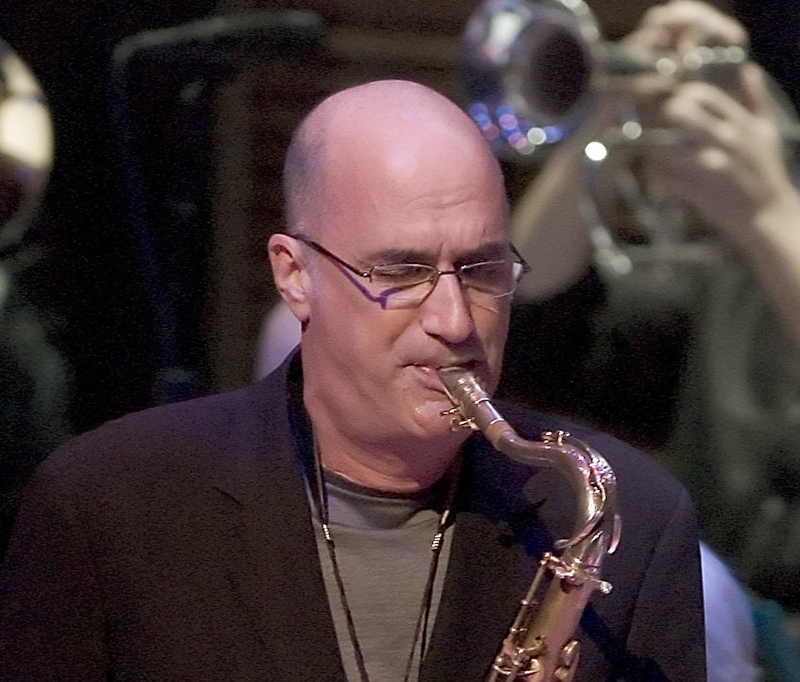 As is true for so many other jazz tenor players, Tod's playing and composing are powerfully influenced by Michael Brecker. 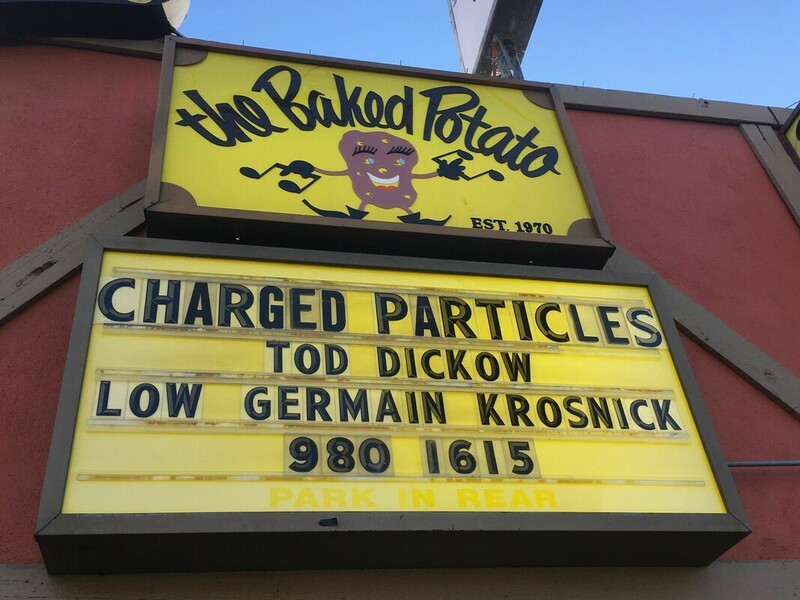 But Tod is unique in having captured the essence of Michael's spirit on the instrument, making Tod the perfect artist to perform Michael's compositions with Charged Particles to honor the late-great superstar of the genre.